Campers become “Eco-Explorers” as they investigate the natural surroundings at camp. We will take forest treks, prairie walks and tours to explore our local wildlife. Activities include: bug safaris, nature hunt and more! Young nature lovers will enjoy the great outdoors as we explore the wonders of nature! Campers will hike along our many paths to discover woods, prairies and wetlands. Kids learn to identify a variety of trees, plants, and animals at camp. Join us for a week of wholesome fun on the farm and in the garden! Kids working the farm will explore gardens, fields, and pastures. Young farmers experience the daily routines of feeding and caring for farm animals. Campers discover how plants, animals, soil and people work together to produce the food that we eat every day. Plus, they’ll learn what it means to be a good steward in this unique farming experience. Connect with nature in a personal way! 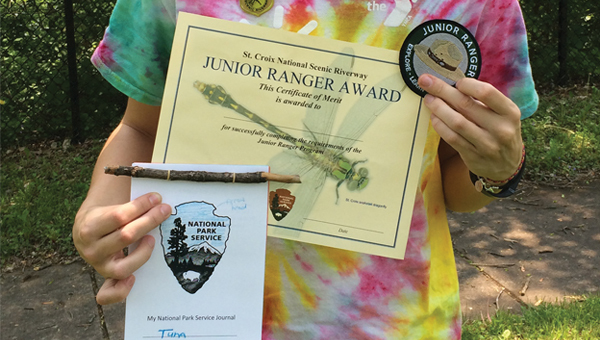 Junior Naturalist campers will take field trips and learn about our precious environment from Naturalists, and they’ll complete a service project too. From Geocaching in Clearly Lake Park, Prior Lake, to spending time with a Park Ranger at the MN Valley National Wildlife Refuge, Bloomington, this is your chance to explore nature and learn how to protect our precious outdoors. This camp is perfect for our young scholars who are passionate about Science, Technology, Engineering, and Mathematics. Campers will spend the week engaged in hands on, interactive projects. We will figure out how things work and why it’s important. Activities may include Legos, robotics, science experiments, plus more! There will be lots of learning, using their imaginations, and exploring the indoors and outdoors at camp! Campers take off into a world of exploration through hands-on experiments to learn essential concepts applied towards a variety of eruptions, engineering experiments and much more.